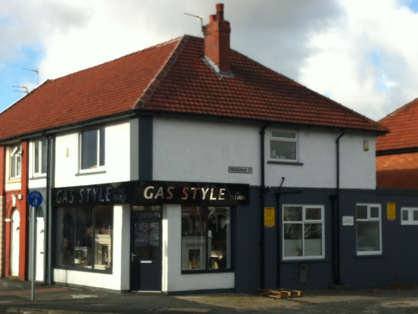 Gas Style was founded in Lune Street, Preston, Lancahire in 1994 by Brian and Elaine Iddon. Brian worked for British Gas for 22 years and took an opportunity to run his own business. The volume of work was so high that after two years they moved to their current, larger premises in Blackpool Road. We have been supplying fireplaces and fires to families in the North West for nearly twenty years now and are in the best position to advise you on the best fireplace or fire for your needs and also on any advice and information you require for your bespoke installation. We are based on Blackpool Road in Preston and cover all over the North West. Gas Style provides gas fires, fireplaces, multi-fuel stoves and full central heating services. There are over 50 fireplaces on display in the shop, so come and take a look. Gas Style Preston, Central Heating, Gas Fires, Multi-fuel Stoves, Boiler Installation, Lancashire, Gas Style, Preston, Blackburn, Fleetwood, Morecambe, Blackpool, Lancashire, Preston, Bolton, Lancaster, Rochdale, Burnley, Southport, Chorley, Leyland, Bamber Bridge, Lytham St Annes, Heating, Gas Fire, Fire Place, Blackpool Road, Preston, Lancashire, Installation, Bespoke Service, New Boiler, Worcester, Baxi, Vailliant.